Sometimes, it can be difficult for volunteers to evaluate their own impact, but at the single mothers’ home, the equations are simple. Success is measured in diapers changed, infants comforted and toddlers coaxed into naptime. As children generally only study half of the day, some volunteers will work the mornings, whereas others will work through the afternoons. The children you’ll be minding are between the ages of 7 – 18. You’ll be organizing simple games, helping with homework, teaching English, cleaning, cooking and whatever else the orphanage may need. Above all, you’ll be providing these children with a safe environment where they know they are cared for. Friends for Asia works with a few different orphanages. Most of the orphanages are located down quiet side streets outside the middle of the city where the pace of life moves slowly. Here, cradling a newborn baby, the sentimental urges are irresistible, especially when you realize that you’re part of a continuum of like-minded, caring people. In short, you’re part of the solution. Orphans face similar challenges all over the world. The help of volunteers is essential in freeing the children and young adults to focus on personal development. 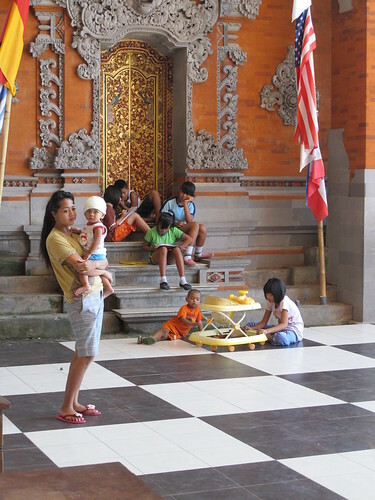 Some of these children hail from multiple areas around Bali and Indonesia. But your presence also fills a practical need. Free time is a precious commodity when you’re trying to bring up children on your own. Every hour a volunteer spends in daycare gives the mothers a chance to take classes on-site. They learn how to use computers, manage finances and sustainably grow produce. These skills foster self-sufficiency, which simply wouldn’t be possible without reliable workers to look after the children. Volunteers need to be over the age of 18, do not need any specific qualifications, but should have a basic knowledge of working children and young adults. Volunteers should be able-bodied, flexible and enjoy working outside and with kids. Friends for Asia requires all volunteers in this project (and all other projects where volunteers work directly with or near children) to submit a certified police background check before volunteer service begins. Airport pick up, accommodation during orientation and entire project time, breakfast every morning, lunch every work day, 2 day orientation, half day city tour, cultural activity, onsite coordinator and 24 hour emergency assistance. Plane tickets, travel insurance, cost of criminal police background check required for this project, cost of transportation between accommodation and school, transport to airport at end of volunteering, dinners.